On Tuesday, the New York Daily News reported that New York Senator Kirsten Gillibrand is endorsing Governor Andrew Cuomo as he prepares to face off against actress Cynthia Nixon, who announced her candidacy on Monday, in September’s Democratic primary. In a statement delivered to the Daily News, Gillibrand spokesperson Glen Caplin said, “Kirsten is a friend of Governor Cuomo’s and supports his campaign. He’s been a leader on issues she cares deeply about like marriage equality, paid family leave, and campus sexual assault, to name a few. She believes he deserves to be re-elected.” Seems safe and not surprising (I doubt for Nixon’s team either). Cuomo is seeking his third term. 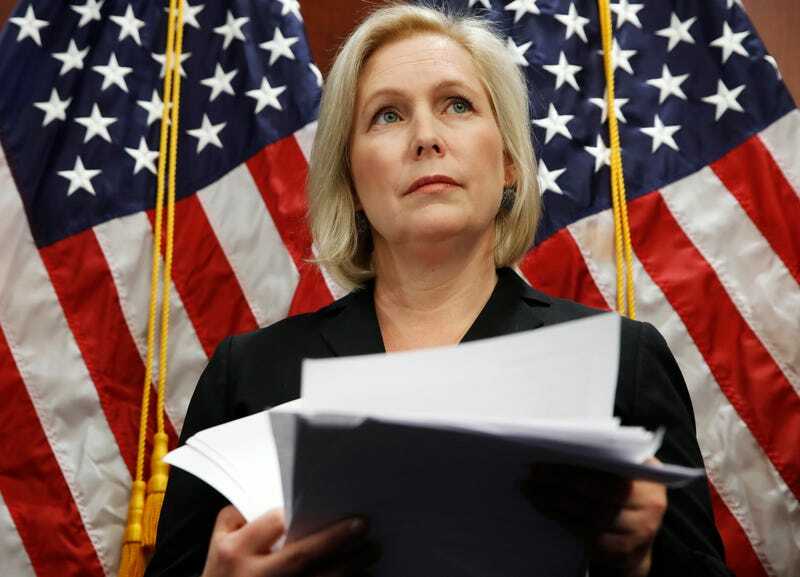 According to the Daily News, some insiders had been mulling the possibility of Gillibrand endorsing Nixon, despite her ties to Cuomo, seeing as she has raised some $6.5 million to fund women candidates through her Off the Sidelines political action committee. In other Nixon-for-Governor news, Christine Quinn, who ran for New York City mayor in 2013 (she lost to Bill de Blasio, of course), called Nixon “an unqualified lesbian” in the New York Post on Tuesday. Quinn is also gay, but considers herself qualified; she told the Post in reference to Nixon’s decision to endorse De Blasio during the 2013 primary, “Cynthia Nixon was opposed to having a qualified lesbian become mayor of New York City.” On Tuesday evening, Quinn apologized for her remark. Honestly, at this point, I wish more career politicians would try their hand at acting—or go back to it.